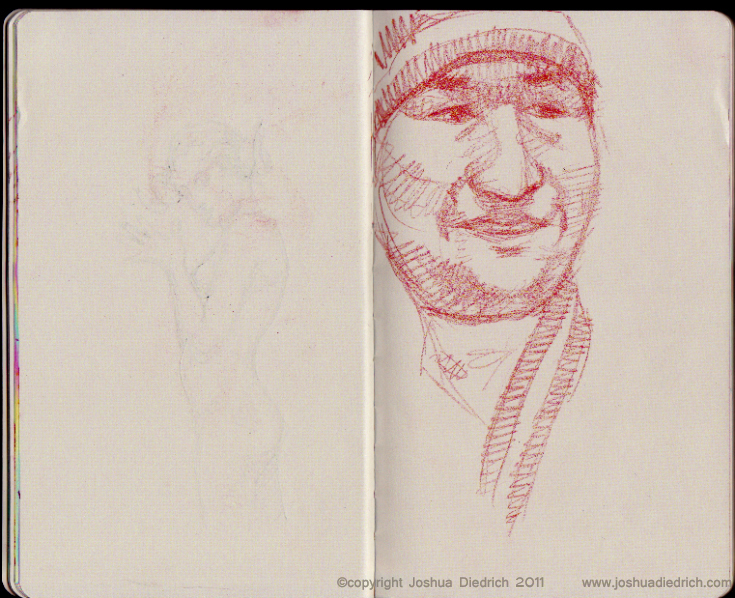 “Picadilly” brand Moleskine knockoff sketchbook with broken binding. 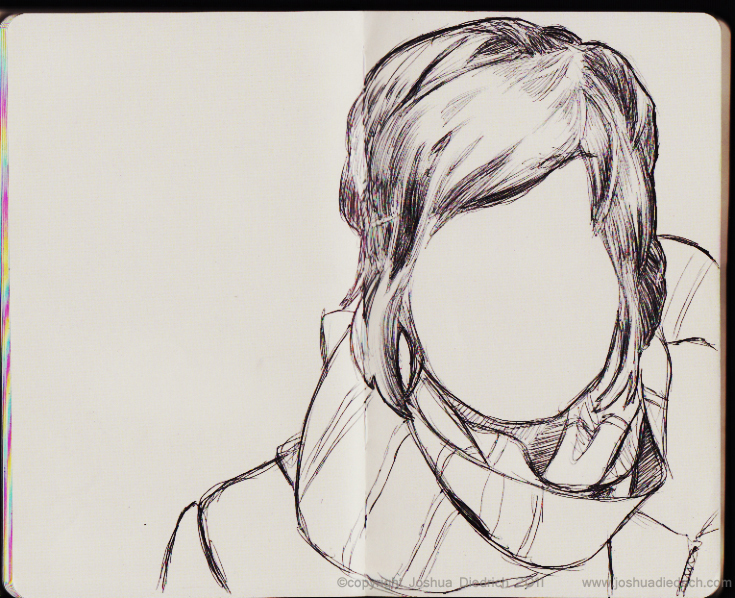 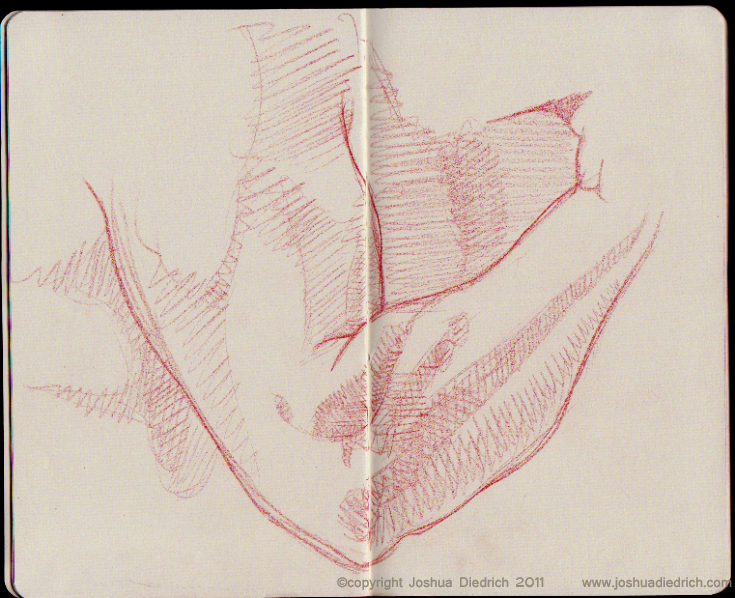 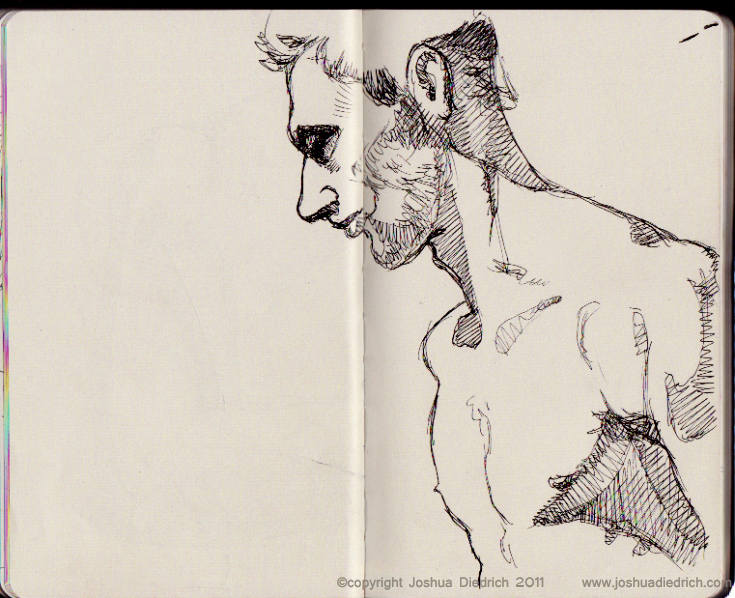 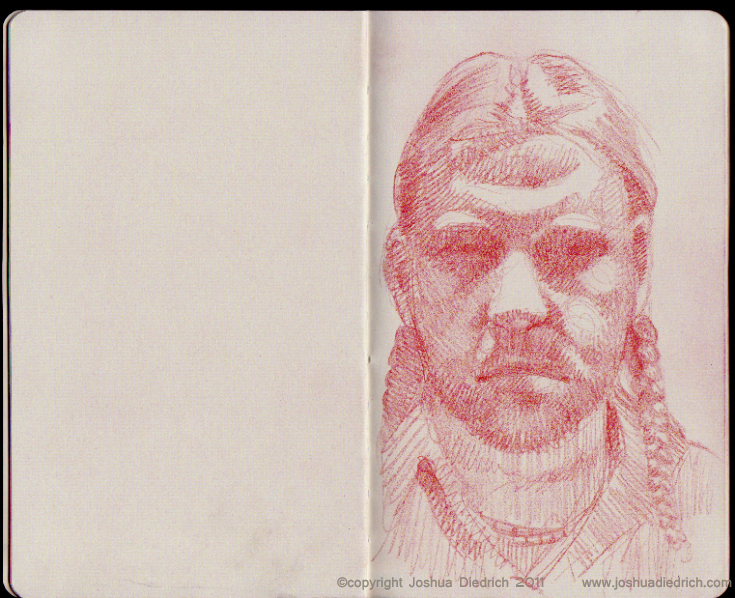 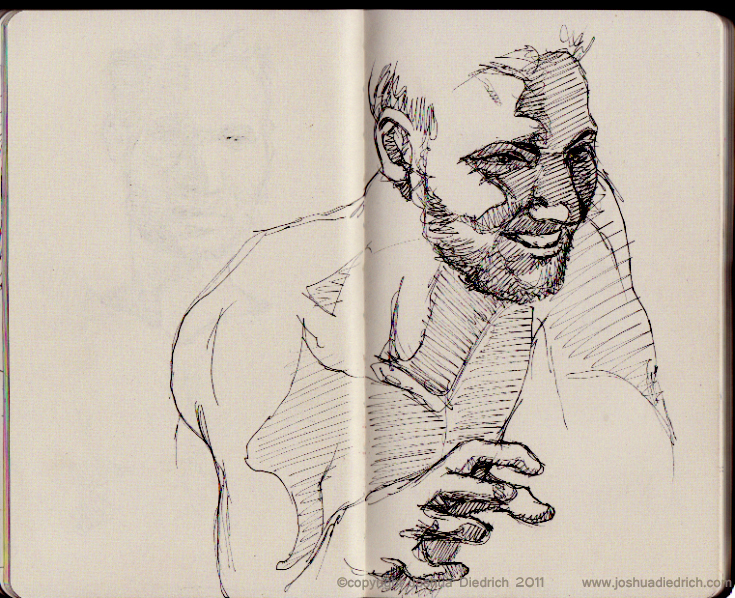 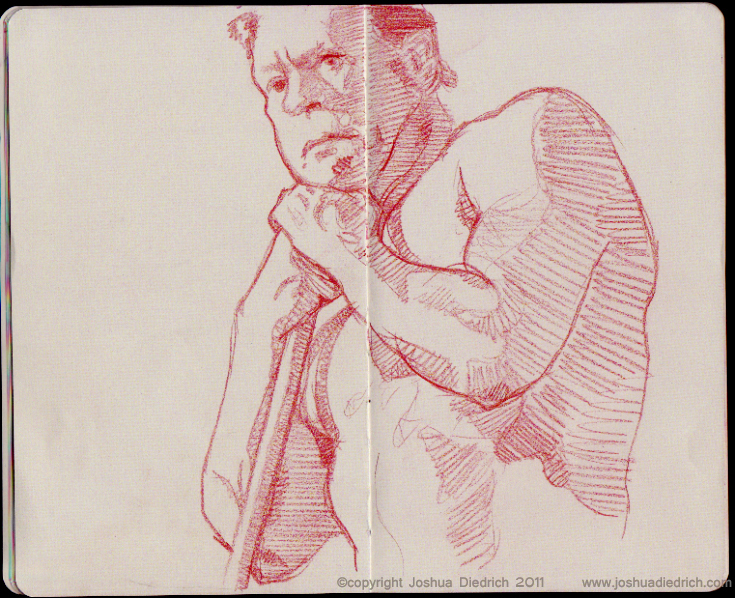 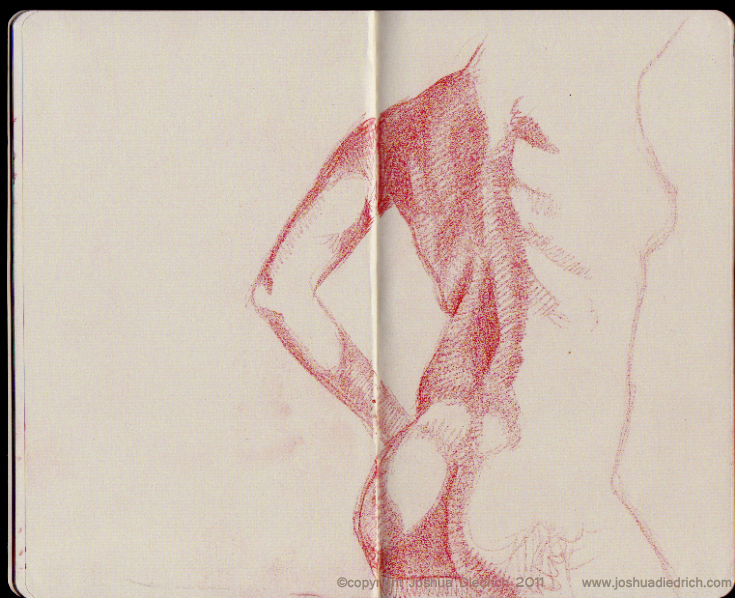 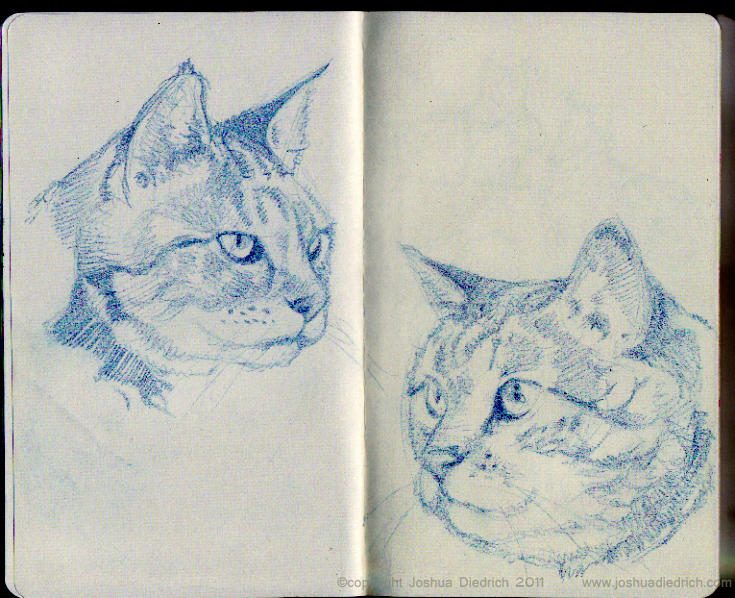 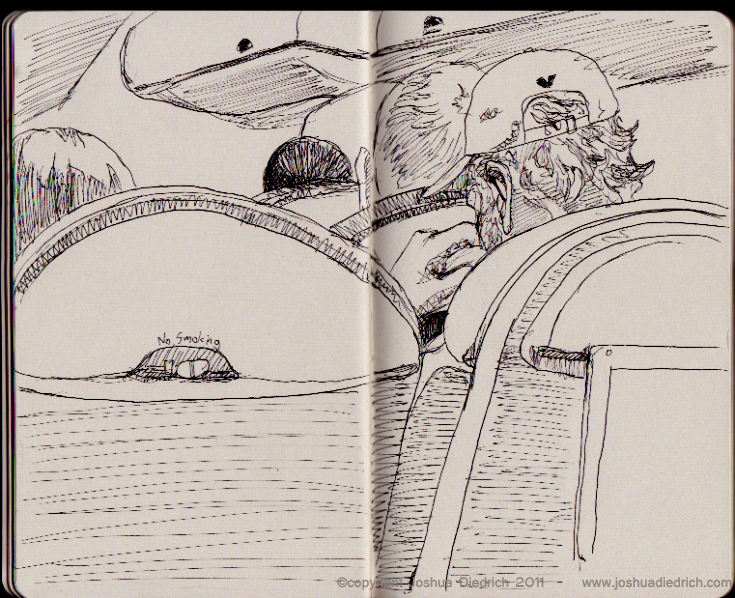 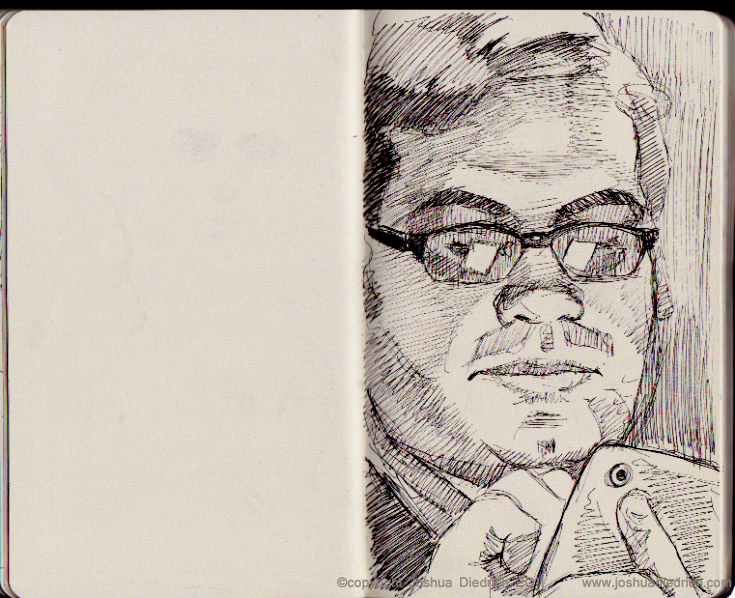 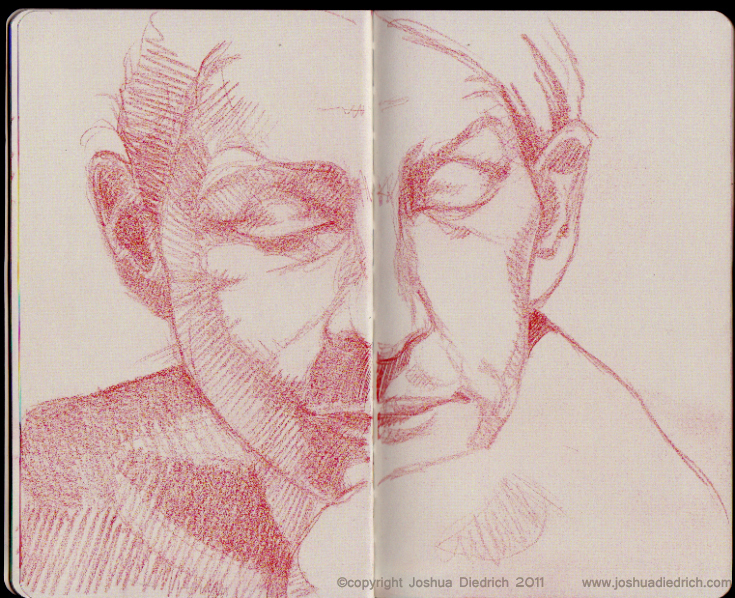 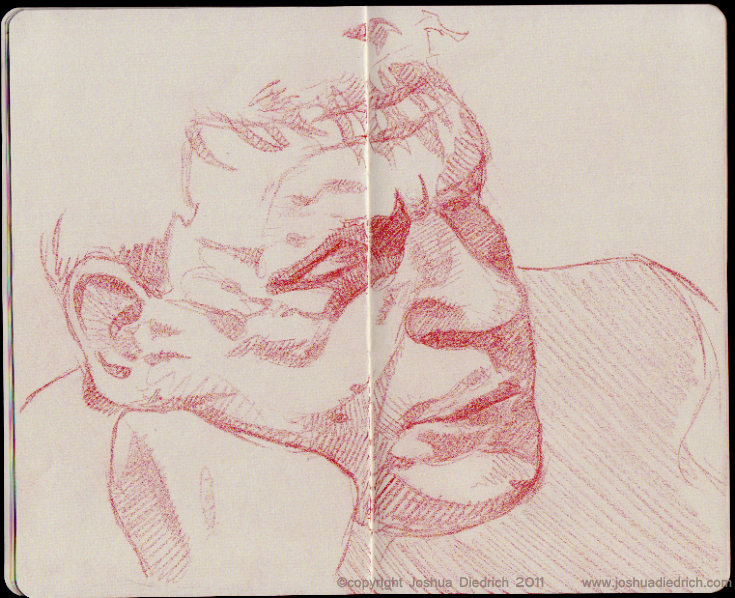 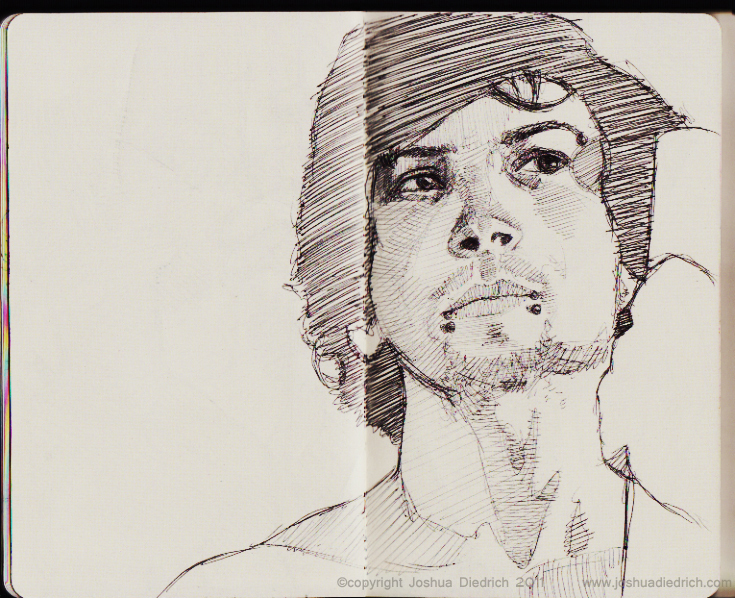 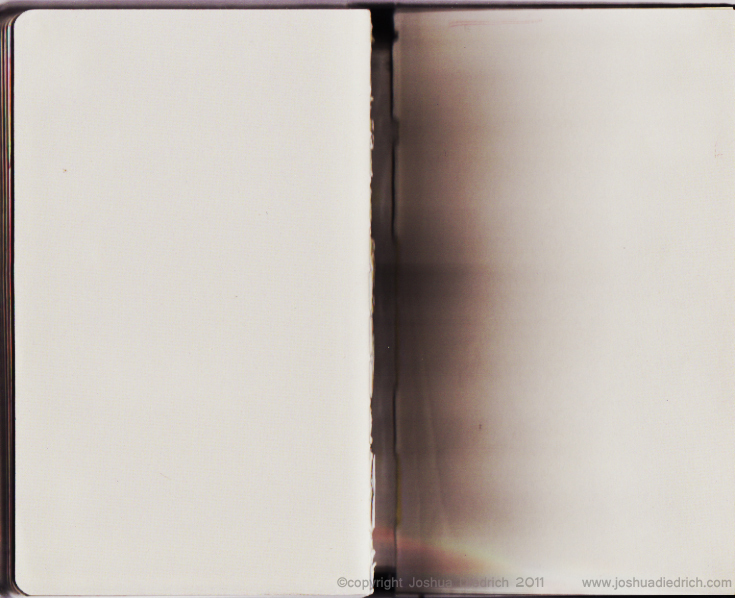 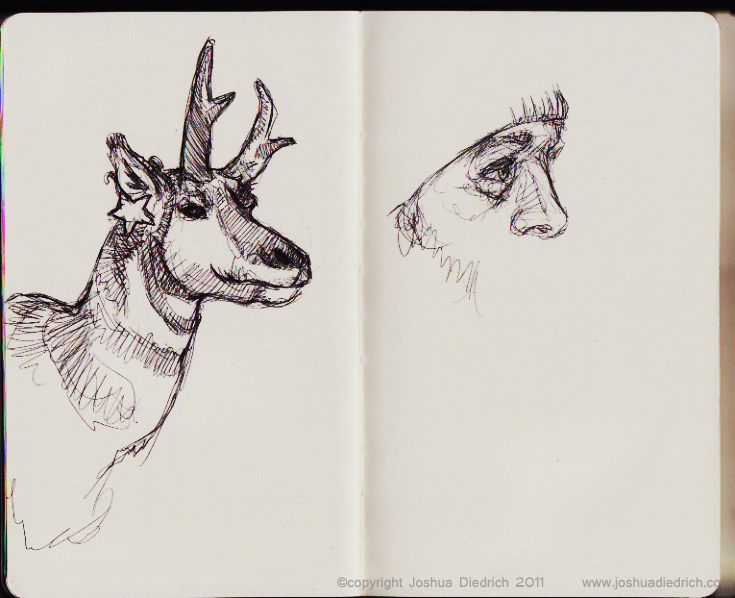 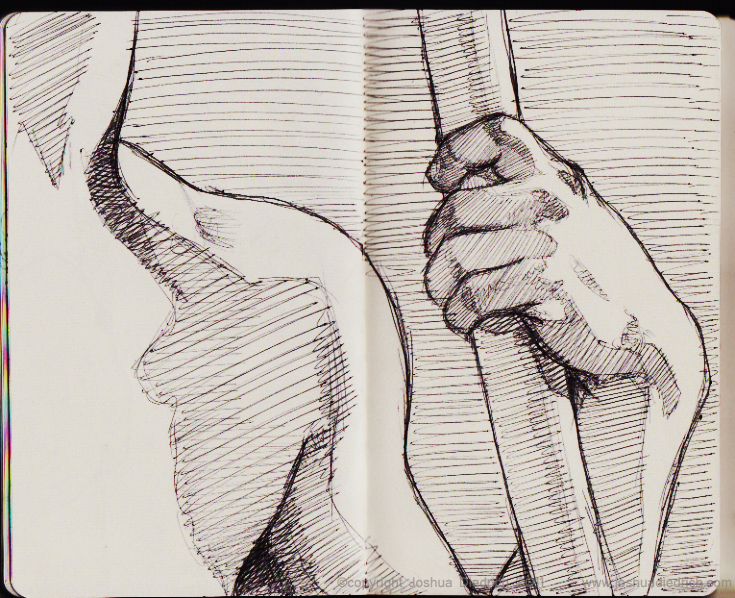 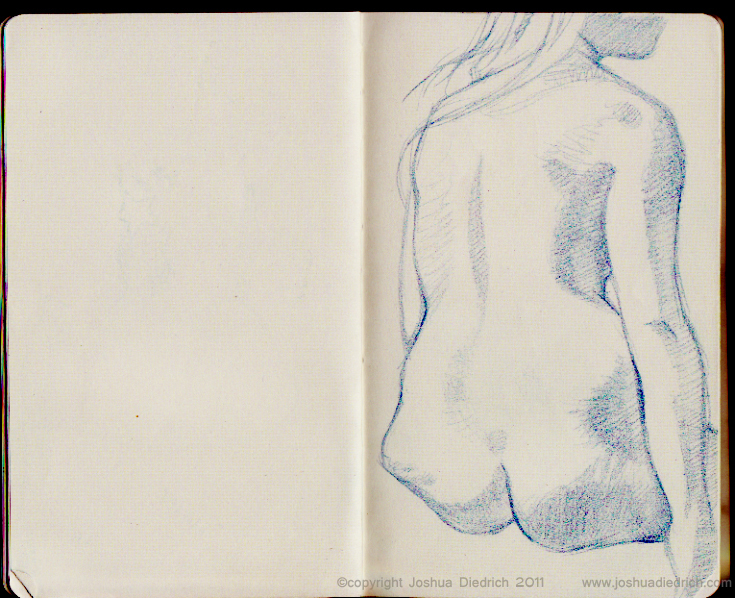 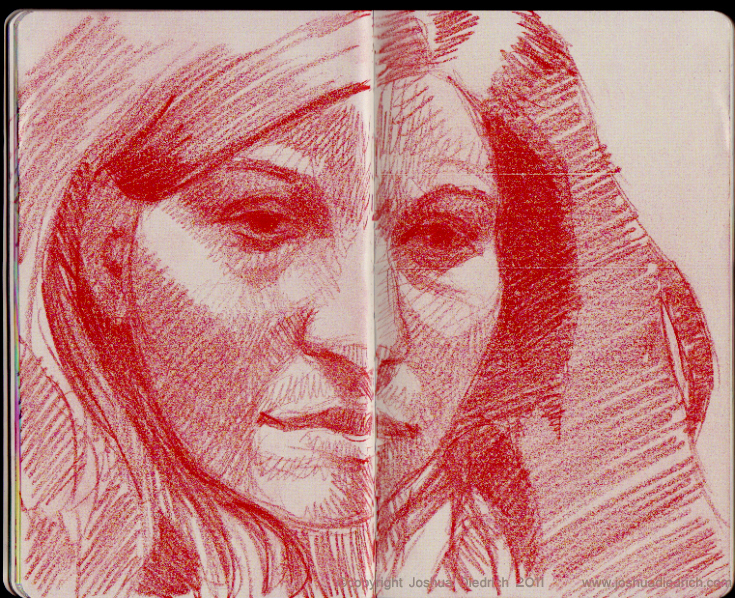 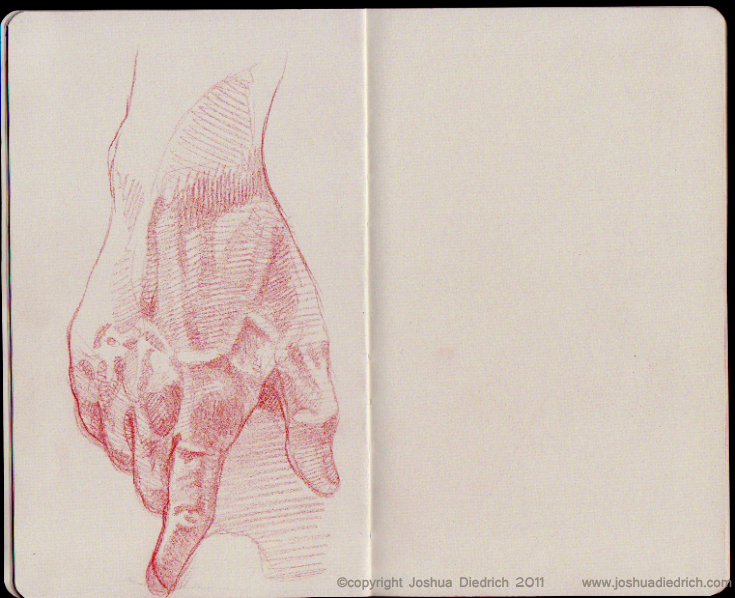 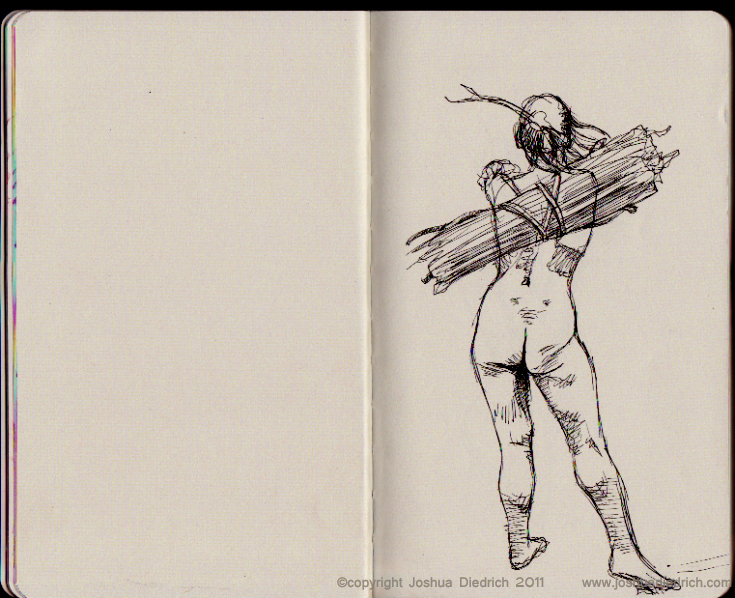 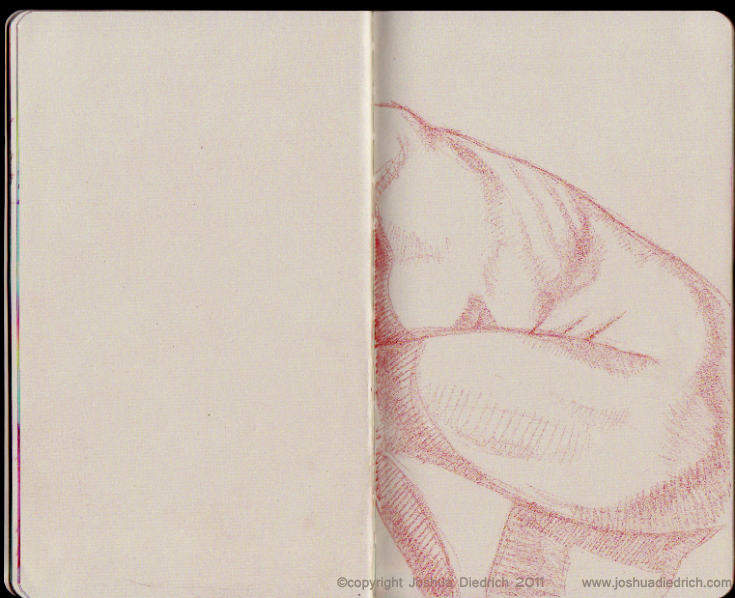 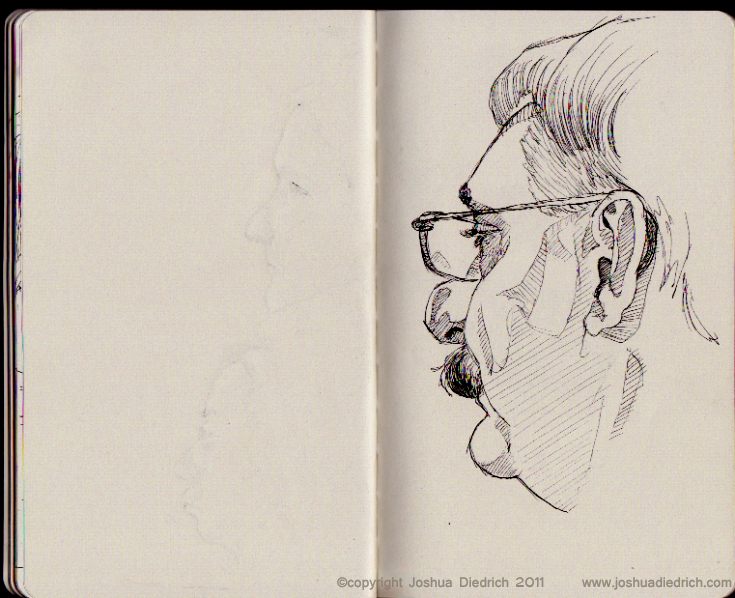 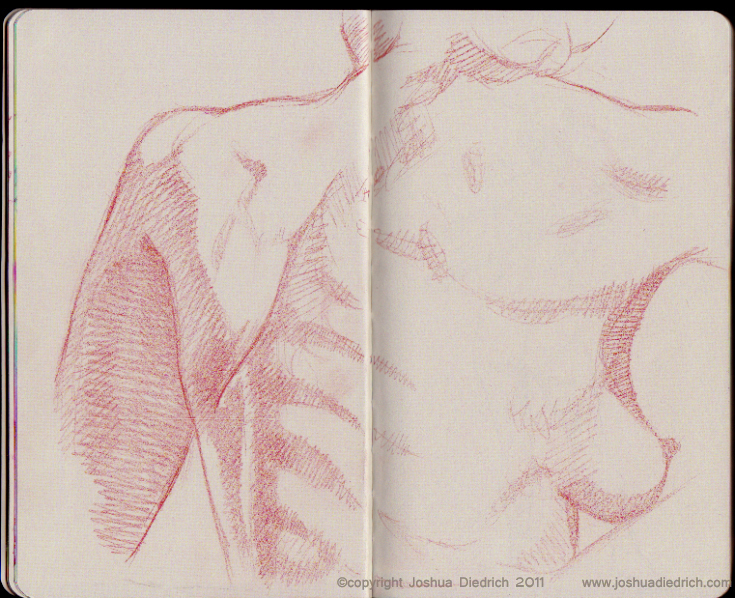 Studio drawings, drawings in airports and bars, mostly in Crimson Red Prismacolor pencil, some in Parker ballpoint pen. 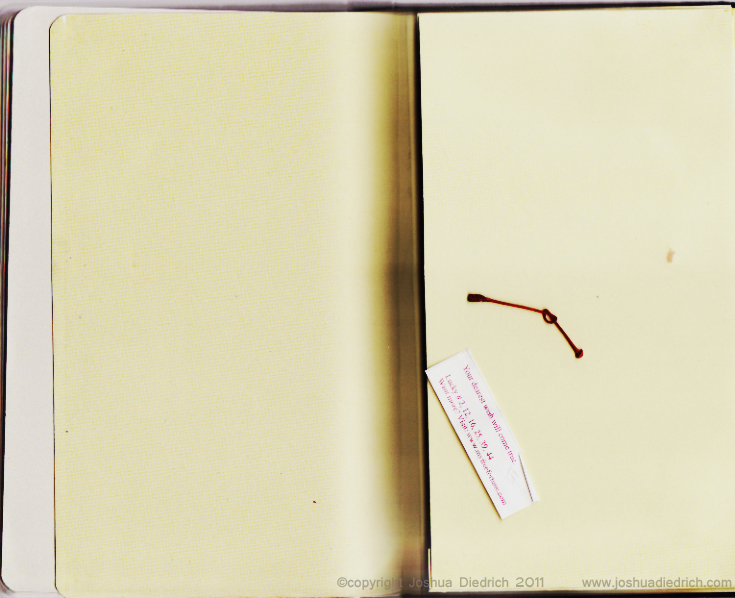 Pocket contains: Cookie fortune “Your dearest wish will come true”, knotted cherry stem from a bar in Reno.